Volkswagen doesn't want to rely on product advertising alone for its game-changing I.D. battery-powered hatchback, the first in a family of I.D. models that the brand hopes will make it the world’s No. 1 seller of full-electric vehicles. 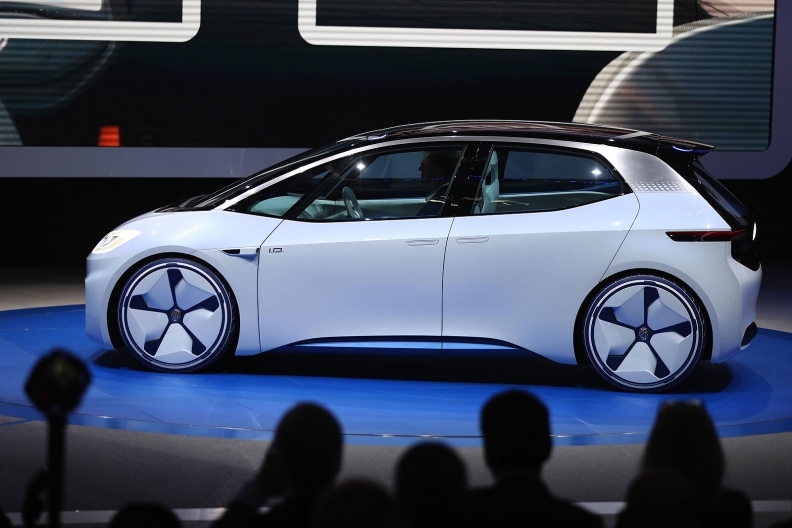 VW will support the I.D. launch with a marketing overhaul symbolic of what it calls "New Volkswagen," hoping to wipe away the shame associated with its diesel scandal that left deep skidmarks in its accounts. UK-based Brand Finance estimated that the diesel scandal, which erupted in 2015, wiped as much as $10 billion off the value of the VW brand in just a matter of days. In the following year, Hyundai took Volkswagen's spot as the world's 35th most valuable global marque in Interbrand's ranking, relegating the German automaker to 40, where it remained in 2017 as well. As part of "New Volkswagen," the company plans to rejuvenate the brand's look next summer with the ninth alteration to its familiar VW logo in 80 years, a change it aims will be radical enough to be immediately noticed without grasping for a magnifying glass. How important is a new logo to the VW brand? Many industry insiders would say that no one ever bought a car because of how great a brand's logo looks. However, market research group Kantar Millward Brown argues a company's brand plays a bigger role in the purchasing decision than the price tag for the majority of consumers today. This is nothing more than saying the monetary value assigned to a product is no longer defined by the sum total of its individual attributes. To remain relevant going forward, a car therefore can no longer be thought of as standalone product, but rather as a daily means of interacting with the brand. Attracting people to spend time in your digital brand world, the "ecosystem," offers automakers more opportunities to sell fresh content, like adding more horsepower during vacation via a software activation code. To best achieve this, the brand experience needs to be the same regardless of whether a customer walks into a dealership in Germany or the United States, configures a car online or is one of the 100,000 subscribers casually browsing VW's own YouTube channel. 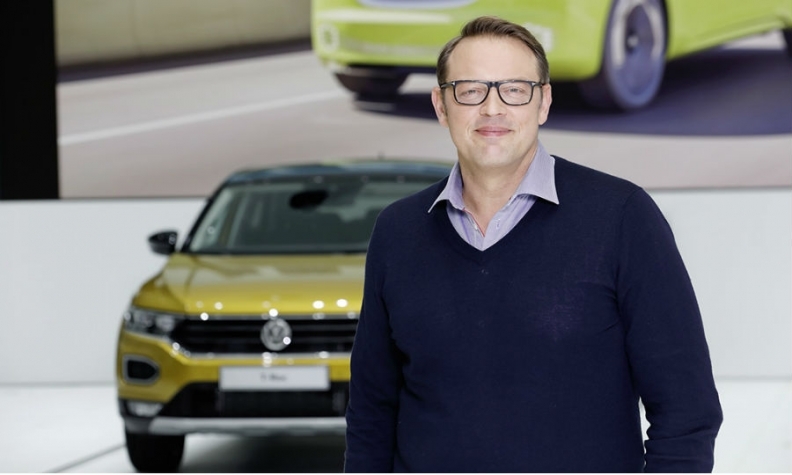 VW brand's new marketing officer, Jochen Sengpiehl, admits there is a lot to be done to improve VW's image. "To emotionalize a brand and improve its equity, it's hard work and takes time," Sengpiehl told journalists at a recent press event. "And it needs to work also in China," Sengpiehl said. That is no small footnote, either, since roughly every second VW car is sold in the world's biggest market where VW has branding challenges. Sengpiehl: "To emotionalize a brand and improve its equity, it's hard work and takes time." China is the only market in the world where VW is not called by its German name. It is known as "Dazhong Qiche," the closest literal translation for the "People’s Car" – and there are two distinct subbrands in FAW-VW cars and their SAIC-VW rivals each independently operating their own respective dealer body. Every Chinese consumer can immediately recognize whether a car comes from the one or the other since they carry an emblem on the trunk lid that says as much. Removing these to focus solely on its identity as a Volkswagen is not an option since it would relegate the JV partner to the status of a contract car manufacturer. There is lot in other words to keep Sengpiehl, who joined VW from Hyundai last September, busy for the foreseeable future. He declined to disclose the brand's marketing costs or what it will spend to create "New Volkswagen," but it's safe to say this endeavor will cost tens of millions of euros at least. The new corporate identity and brand design will eventually be rolled out to thousands of dealers operating over 100 markets worldwide.